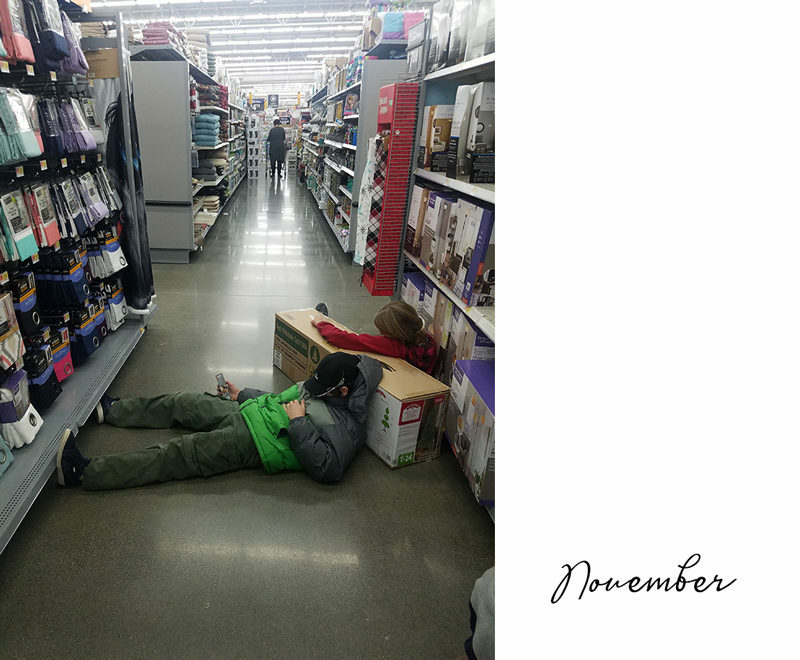 Can I sum up my family’s 2018 in just 12 photos? 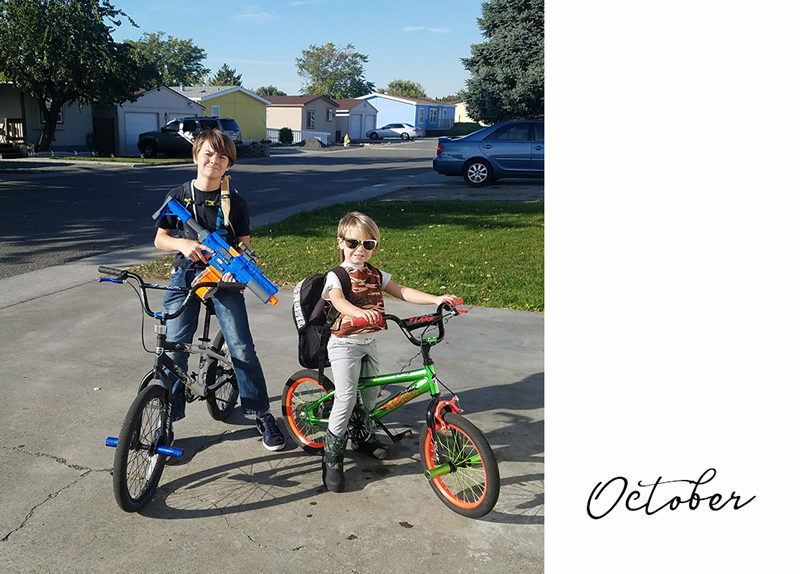 To make it easy-ish, I pulled one photo from each month….. harder than it sounds! January: we went skiing as a family for the first time with my Mom. We spent our second day tubing. Everyone had fun, and we’ll probably go a few times when the next season rolls around! 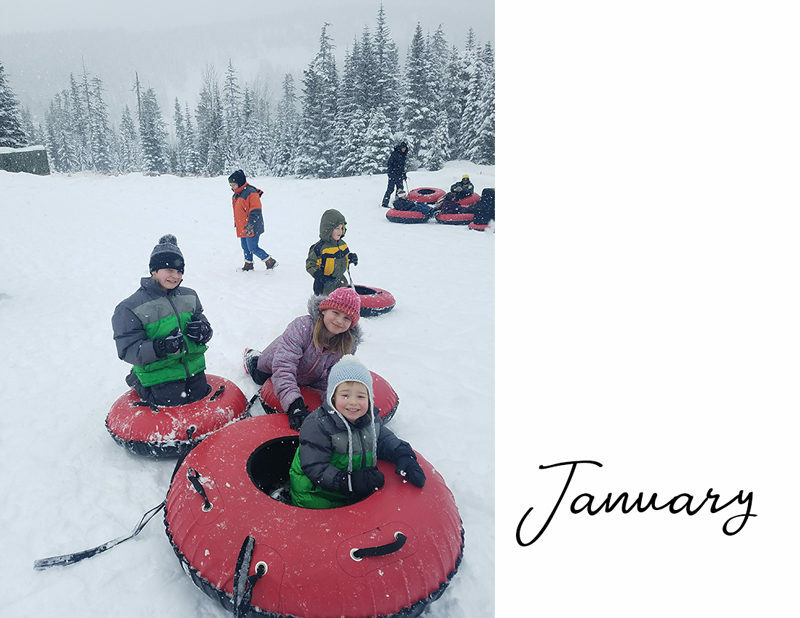 February: February was a big month for our family! Valentine’s is always fun. My Mom’s birthday is in February. We also bought our new car in February, but the most important memory from last February was when my Son earned his Arrow of Light and crossed over from Cub Scouts to Boy Scouts. March: March was another fun month! 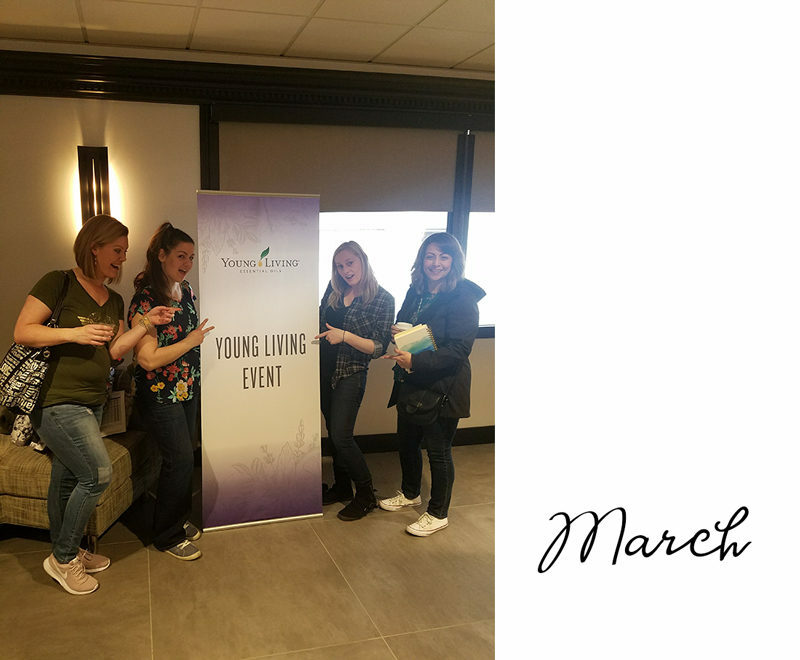 From the Leprechaun Dash to winning some hockey tickets, to a fun library event, getting outside in the sunny weather, and sending my oldest off on his first Scout camping experience, the photo that takes ‘best’ photo of March is one from a trip I took with four friends to a Young Living event in Portland. April: Another exciting month (are any of them not?!). I had a hard time deciding between a family photo of me and my kids on Easter and this gem. I chose this one because getting a new sofa was on my vision board. I’ve never had a new sofa, only handmedowns and used sofas. Nothing terrible about that, but we needed something bigger. I will forever be grateful for this giant sofa!! May: This photo makes me feel all the happy thoughts. I try to get my family to try new things, new experiences. We made a short trip just outside of ‘town’ to go to an outdoor movie at a local campground. Super fun! Also, it reminds me to be grateful for others’ generosity. A family had given us the hot pie and vanilla ice cream their kids didn’t want, and it was such a nice surprise treat for my family! June: ALWAYS busy for our family, but mostly because we also have two birthdays to celebrate in June! 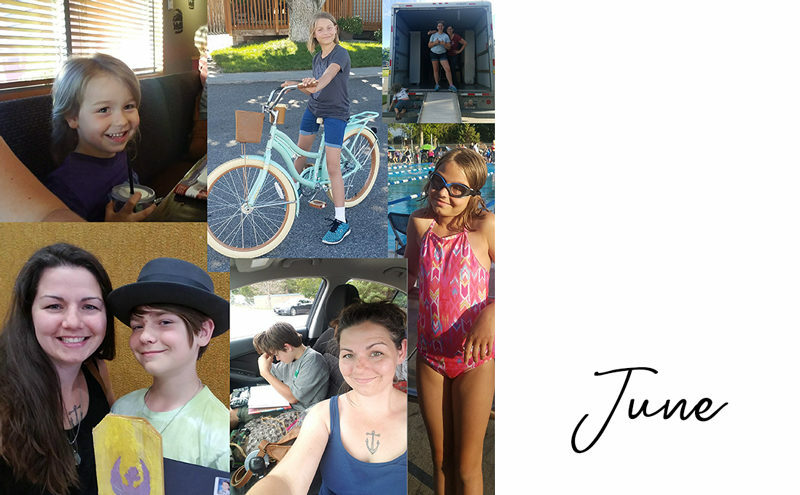 Yeah, I couldn’t pick just one….. Last June I had a newly turned 4 year old, a newly turned 10 year old, a 5th grade graduate, we helped my Mom move, a first time Scout summer camp-er, and a 1st year swim team rock star!! July: A month full of Summer fun also included a yard sale after we helped my Mom move. This may be one of my favorite photos of us all! My oldest two also set up sales to earn money for our upcoming summer trip. August: We went on another family trip with my Mom in August, this time to Tiffany’s Resort at Lake Chelan. Soooooooo many photos I love from August, and that trip. I’ve kind of cheated and used a photo I took of some instant photos we took on our trip (including my 4 year old’s oopsie chin shot!) as well as a photo of my oldest. He turned 12 and started middle school in August. 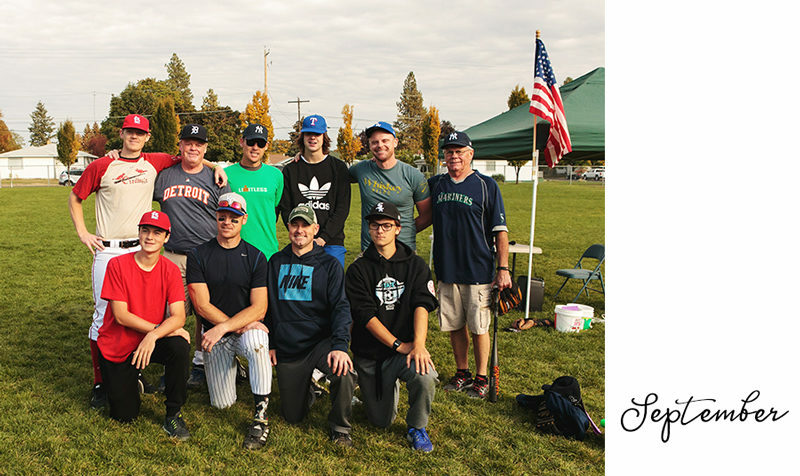 September: We made a surprise trip to Spokane to watch The Sandlot Legends play some ball. It was tons of fun to watch a few different generations hit the ball around. I grabbed this photo of all the Rickards afterward. October: Kind of hard to not pick a Halloween photo! Love this photo of my two boys, actually playing together nicely! This was the Summer my youngest learned to ride his big bike! December: December was awesome, but a little rough at the end. We spent Christmas in Spokane at my Dad’s, and we were suppose to have another fun family event with my Mom. Well, my Mom ended up breaking her shoulder on our first adventure: ice skating at the Ribbon in Spokane. So we postponed the rest of our plans (aside from visiting her Dad, which I drove!) and took it easy over the rest of our Christmas visit. 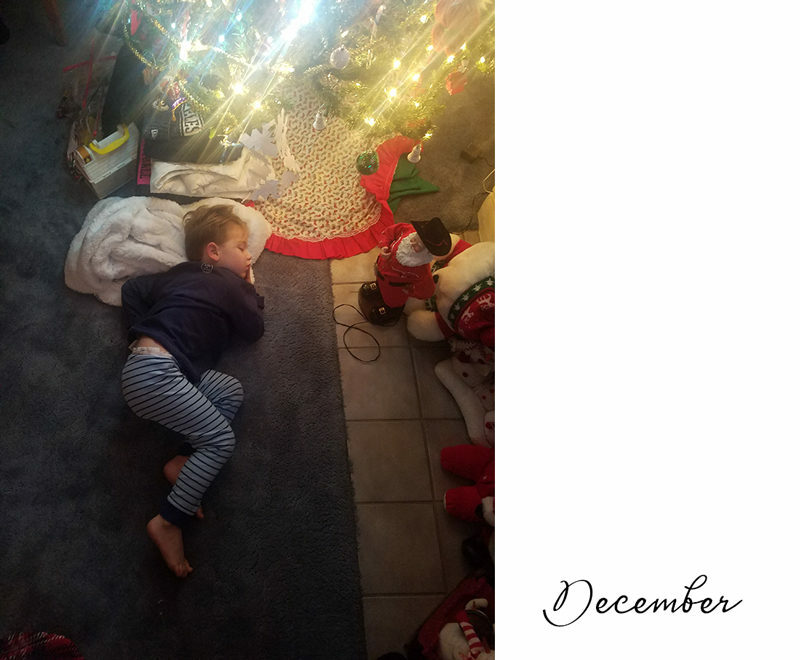 But my favorite photo is of my littlest, curled up passed out under the Christmas tree. Could you wrap up 2018 in 12 photos? Obviously, I couldn’t! And there were so many I didn’t include!! This is why I printed a Year in Review family album, so we can flip through the pages from our lives, remember the funny moments, birthdays, milestones, and even some sad times. If you’re tired of being the long arm in the family selfies, schedule your family session today. No more long arms!! Use the ‘Book Meghan‘ tab to send me an email!